The Nigerian National Petroleum Corporation (NNPC), on Wednesday, confirmed the cancellation of crude oil swap contracts as well as Offshore Processing Contracts (OPA) which the corporation entered with traders under the administration of President Goodluck Jonathan.The corporation, in a statement, also announced new measures aimed at cost reduction and strengthening of operational efficiency across its value chain.The NNPC stated that after proper evaluation and in line with the terms of contract for the delivery of crude oil to the nation’s refineries in Warri, Port Harcourt and Kaduna, it cancelled the current contract due to exorbitant cost and inappropriate process of engagement. 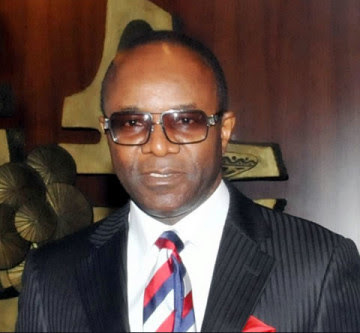 The NNPC explained that it resorted to the delivery of crude oil to the refineries by marine vessels following incessant attacks on the Bonny-Port Harcourt refinery pipeline and the Escravos crude pipelines by vandals and oil thieves resulting in the complete unavailability of the pipelines in 2013. The corporation also said the OPA contracts it entered in January 2015 with three companies, Duke Oil Company Inc., Aiteo Energy Resources Limited and Sahara Energy Resources (Nig) Ltd, has been cancelled because it was skewed in favour of the companies. Under the agreement, NNPC allocates a total of 210,000 barrels of crude oil per day for refining at offshore locations in exchange for petroleum products at pre-agreed yield pattern. product delivered is significantly lower than the equivalent crude oil allocated for the programme," NNPC said. They also observed that the structure of the agreement did not guarantee unimpeded supply of petroleum products as delivery terms were not optimal. To address these lapses, the NNPC informed that it had commenced the process of establishing alternative OPA based on optimum yield pattern with tender processing fees. “After due appraisal of performance trajectory, we have invited Oando, Sahara Energy, Calson, MRS, Duke Oil, BP/Nigermed and Total Trading to bid for the new Offshore Processing Agreement while we have engaged AITEO, Sahara Energy and Duke Oil to exit the current OPA," the NNPC confirmed.NNPC also revealed that it had obtained the permission of President Muhammadu Buhari to kick-start the tendering process for the 2015/2016 Crude Oil Term Contract for the evacuation of Nigeria’s crude oil equity from the various crude and condensate production arrangements.